The Ann Arbor York Rite bodies have been meeting at Calvary United Methodist Church in Ann Arbor since the loss of the most recent Ann Arbor Masonic Temple several years ago. 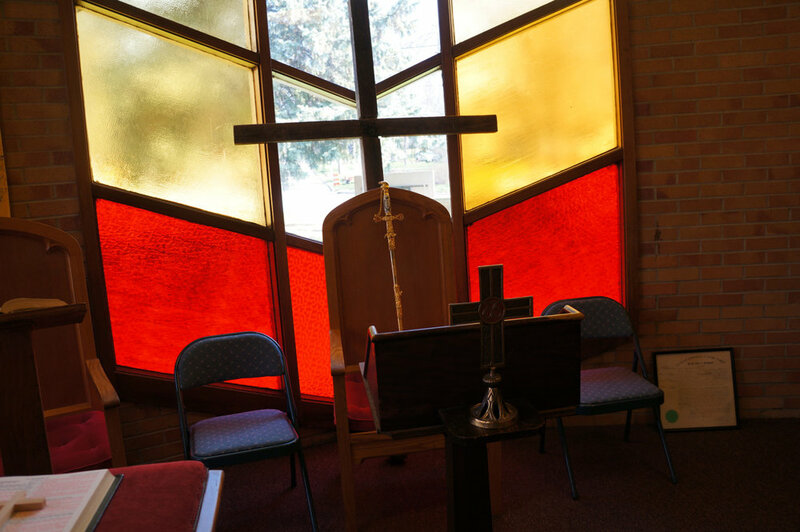 We currently meet in a chapel located behind the church’s main sanctuary, which while small has the advantages of its own entrance on the side of the church, convenient storage for regalia, and décor highlighted by walls of stained glass and beautiful Christian imagery. These features make for a fantastic Commandery Asylum while effectively serving our entire family of York Rite bodies. However, due to its size much of our degreework often takes place off site, so if you’d like to visit our humble asylum we’d love to have you but if you’re coming for a degree pay close attention, as you never know where we might be.